Cincinnati Hyperbarics - Cincinnati Hyperbarics! A Natural Way to Wellness! There are an overwhelming number of choices for health care providers and services. We know this because we often have patients who have tried many options without the success that they seek. Founded in 2001 by Dr. Theodore Cole, Cincinnati Hyperbarics has been successfully helping patients recover from a wide variety of conditions and injuries, such as autism, diabetes, stroke, concussions, and cancer to name a few. 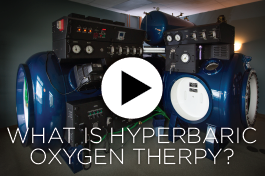 As a freestanding hyperbaric center, we are able to treat certain conditions that most centers cannot. Learn more about how Cincinnati Hyperbarics can help you experience true healing. We are proud to be affiliated with the following partners to help you experience your natural way to wellness.